First official Tata Zica pictures released. Tata Motors has released its first official images of the upcoming Tata Zica Hatchback. The Tata Zica will be available with both a petrol and diesel engines. Stay tuned for even more detailed images in the next few days. 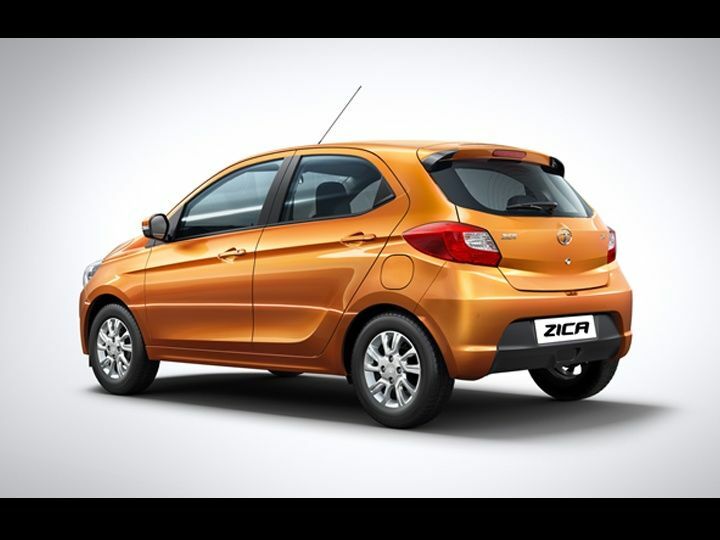 Tata Motors have officially unveiled the first official pictures of the all new Tata Zica. The new hatchback is set to be unveiled very soon and these two images show the new diesel and petrol powered car in all its glory. A few days ago, the Tata Zica did make its web debut through leaked pictures at a dealership. The Tata Zica does look quite handsome especially in this hue of orange as is shown here. What appears to be a top of the line version, the Tata Zica will get a set of alloy wheels and fog lights that come with a chrome bezel. The front of the Tata Zica looks particularly appealing with its aggressive snout and large grille that seems to fuse seamlessly into the angular headlamps. At the rear, the Tata Zica showcases quite a European design language with a well angled hatchlid and sharp tail lamps. The two tone bumper and inbuilt spoiler complete the package. On the engine front, the Tata Zica will get both a petrol and a diesel engine. The petrol engine will be a 1.2-litre mill that is expected to make 85PS of peak power and 110Nm of peak torque. The diesel motor in the other hand will be a new 1.0-litre mill that will make 70PS of peak power and 140Nm of peak torque. The new engines will also be extremely fuel efficient with the diesel expected to return over 25kmpl. The Tata Zica will be launched in January 2016 and is expected to be priced below Rs 4 lakh for the entry level variants. It will go up against the likes of the Maruti Suzuki Celerio, the Hyundai i10 and the Chevrolet Beat. New BMW 7-series previewed in India. The new 7-series will be available in a long-wheelbase guise only; likely to be powered by straight-six diesel and V8 petrol engines. BMW previewed its new 7-series luxury limousine at a private event in Goa. The new 7-series made its global debut at the Frankfurt motor show and is expected to replace the older generation model in India sometime next year. Based on an all-new lightweight platform, the new 7-series is larger than the outgoing model, but weighs around 130kg less owing to the use of carbon fibre, high-strength steel and aluminium. The styling of the new car is more evolutionary in nature with a more prominent grille with active louvers, LED or optional laser headlamps, LED tail-lamps, more pronounced shoulders, a taller glasshouse, a high-set boot and tweaked rear bumper. Inside, the new 7-series gets a newly designed dashboard, controls, updated digital instrument graphics that light up in white, blue or red depending on the driving mode selected, a redesigned multi-function steering wheel and new front seats with ventilation and massage functions. Technological additions include a new iDrive software with touch and gesture control, heads-up display, night vision, drive select function and engine start/stop function. The car is also equipped with radar-based safety functions, but it remains to be seen if these systems will come to India. The new car is expected to be powered by a choice of a 3.0-litre in-line six-cylinder turbo-diesel engine developing 261bhp or a 4.4-litre twin-turbo V8 petrol motor developing 444bhp. To be available in long-wheelbase guise only, the new 7-series will take on the likes of the Mercedes S-class and the Audi A8 when it launches in the Indian market in 2016. The new Q7 will initially be offered with a 3.0-litre V6 TDI engine only; local assembly to commence in 2016. The new Audi Q7 will hit Indian showrooms on December 10, 2015. The new Q7 is 300kg lighter than its predecessor and is marginally smaller, but with more prominent creases, a new single-piece grille, angular headlamps, rectangular LED tail-lamps and new bumpers at the front and back. Inside, the company has gone with a minimalist theme with a dashboard free from clutter, a free-standing infotainment display and an all-new centre console with a new gear lever and multi-media controller. The new Q7s will draw power from a 3.0-litre V6 turbo-diesel engine developing 268bhp and 61kgm of torque mated to an eight-speed automatic gearbox with paddle shifters and the Quattro all-wheel-drive technology badged 'Q7 45TDI'. Expected to be available only in one fully loaded trim at the time of launch, the new SUV will get features such as Audi’s new infotainment system, full leather seats with electric adjustment, four-zone climate control, a 19-speaker Bose audio system, panoramic sunroof, an electric folding third row, a 360-degree camera, Park Assist, Matrix LED headlamps, touch pad with handwriting recognition, Audi’s ‘Virtual Cockpit’ all-digital instrument cluster and Drive Select, and air suspension. Audi's new Q7 will initially be a CBU import with local assembly of the SUV expected to start at the company’s Aurangabad facility sometime in 2016. Ferrari's showroom will be located at Bandra Kurla Complex; entire model line-up for India will be available here. Ferrari made its comeback into India recently with the launch of an entire model range. The Italian supercar maker had announced that it will be operating initially out of two dealerships located in Delhi (Select cars) and Mumbai (Navnit Motors). These outlets will extend after-sales services to existing Ferrari owners. The Mumbai outlet is expected to open on December 1, 2015 and will be located at Bandra Kurla Complex. The location wasn't disclosed until now and we were the first to get our hands on this information. This 3,000 sq. feet showroom will most likely occupy the space that previously housed the Land Rover showroom, which is now located in Andheri. Ferrari’s Mumbai distributor, Navnit motors, has signed a lease contract with Wadhwa Group, who are the owners of this said location. The prices for the Ferrari 2015 API Code Download models available in India are mentioned below. These are base asking rates; the final amount is likely to vary depending on accessories and options chosen. Indian Motorcycle sets up shop into Gujarat. Indian Motorcycles expands its network in the country by launching 6th dealership in Ahmedabad, Gujarat. Indian Motorcycles are making steady growth in India in spite of having heavy competition from Harley-Davidson. The company, which is owned wholly by Polaris Industries Inc. have expanded their footprint by launching a new dealership in Gujarat. This will be the 6th dealership the American motorcycle brand has set up in the Indian market. The dealership will showcase the entire range of Indian Motorcycles which is located in the core of Ahmedabad city of Gujarat. 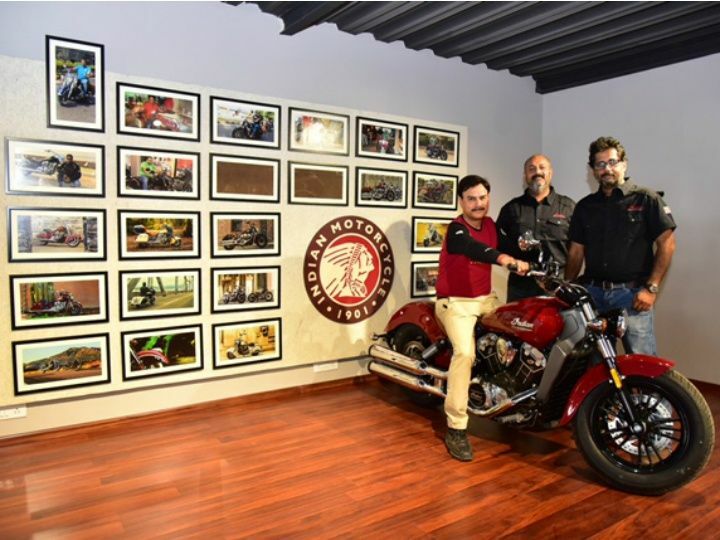 The expansion of dealer outlets is a strategy worked out by Indian Motorcycle to have a strong network base encouraging bike enthusiasts wherever they are. The dealership has been designed as per Indian Motorcycles’ global standards with a complete after-sales support team providing a long-lasting relation with the Indian motorcycles owners. With the trend of owning a premium motorcycle on the rise, Indian Motorcycles seems to be playing their cards well which could help to boost their sales figures. The showroom will have an area of 3,000 sq ft which will allow a spacious display of the entire range of Indian motorcycles currently available in the Indian market such as Indian Roadmaster, Indian Chief Dark Horse, Indian Chief Classic, Indian Chief Vintage, Indian Chieftain and Indian Scout models. In the current market, Indian motorcycles compete against the Harley-Davidson range of motorcycles and the Triumph Rocket III roadster.